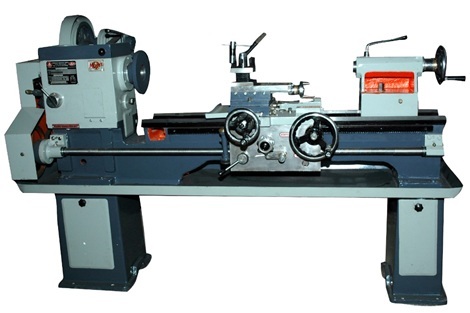 Lathe is a machine that helps in shaping several material pieces in the desired shapes. 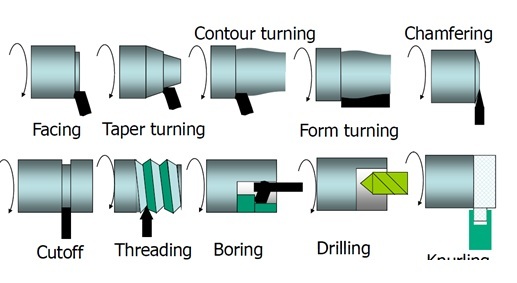 A lathe is a machine that rotates the piece on the axis in order to perform various operations like cutting, facing, knurling, deformation and more. Metal spinning, thermal spraying, woodturning and metalworking are the common operations performed with a lathe machine. One can even shape pottery with this working wonder. Whatever material used in lathe machine whether metal or wood is molded first. The most commonly used lathes are the woodworking lathes. The wood piece is placed in between the headstock and the tailstock of the lathe. Clamping is also used to work the piece about the axis of rotation with the help of a faceplate, clamps/dogs or collet/chuck. The products produced with the help of the lathe machine are cue sticks, musical instruments, candlestick holders, table legs, baseball bats, gun barrels, camshafts, bowls, crankshafts and much more. There are plenty of lathe that vary in sizes and shapes according to the work to be done. The general operations done with the lathe are grooving, turning, cutting, sanding and etc. if anyone wants to operate the lathe machine then he must first know about the feeds, cutting speed, depth of the cut and usage of tool should be considered. Each lathe operation has got its own factors that need to be considered before doing the work. The factors should be used properly so that one can avoid from mishandling and mishaps while performing any kind of lathe operation. With every cut desired the speed, depth and feed of the lathe machine is changed for precision. This is usually the first step of any lathe operation on the lathe machine. The metal is cut from the end to make it fit in the right angle of the axis and remove the marks. Tapering is to cut the metal to nearly a cone shape with the help of the compound slide. This is something in between the parallel turning and facing off. If one is willing to change the angle then they can adjust the compound slide as they like. This operation is adopted in order to cut the metal parallel to the axis. Parallel turning is done to decrease the diameter of the metal. The part is removed so that it faces the ends. For this the parting tool is involved in slowly to make perform the operation. For to make the cut deeper the parting tool is pulled out and transferred to the side for the cut and to prevent the tool from breaking. Very smart define… Assum very easy…good thank you. Very well organisedly written about Lathe machine.